IBM is to put faster and more effective memory into its processors. This means that gadgets using IBM processors - including any forthcoming revisions of Microsoft's Xbox 360, Sony's PlayStation 3, and the Nintendo Wii - should become faster while drawing less power than the original models. 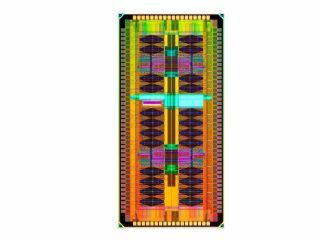 In an announcement made today at the International Solid State Circuits Conference in San Francisco, IBM has said that it hopes to achieve considerable increases in power by using physically smaller and more effective cache memory in its processors. IBM, along with many other chipmakers, has traditionally used static RAM, or SRAM, in the memory cache in its processors. SRAM is used to store information directly on computer chips. This allows the chip to store frequently used data very close to the computer's CPU (central processing unit), where it can be accessed much faster than data that resides off the chip in the system memory. By switching to dynamic RAM, or DRAM, it is possible to cram three times as much memory onto a chip. DRAM is the most common type of memory used in personal computers and has typically been stored on a separate chip. DRAM will continue to be used off the chip, IBM said. The new DRAM processors use less power - only a fifth of current usages - when the processor is in stand-by. This could double the performance of computers and other devices running IBM processors. "We kill ourselves in the semiconductor industry to try to get a little bit more performance in each generation. What we're doing here is trying to merge two technologies on the same chip to get significantly more memory," said Lisa Su, vice president for semiconductor research and development at IBM. According to IBM, the so-called e-DRAM, or embedded DRAM, has many benefits compared to SRAM. "This DRAM memory is almost as fast as SRAM," John Barth, head of e-DRAM development at IBM, said. "It is not quite as fast on a micro level but when you get down to 45 nanometres, it will be running faster on a system level," Barth added. He explained: "A typical micro processor takes 14 clock cycles to collect the data from its cache. When using DRAM this process is slowed down, but only by one clock cycle. By doubling the memory capacity in the processor we'll be able to achieve huge increases in power at system level." Earlier this week, Intel announced it has developed a 80-core chip with the same output as a supercomputer, but only using as much energy as a light bulb. IBM is already testing the new memory technology in its 65-nanometre processors, but the first commercial products won't be available until next year. IBM is looking to switch its 45-nanometre processors to the new technology some time next year.